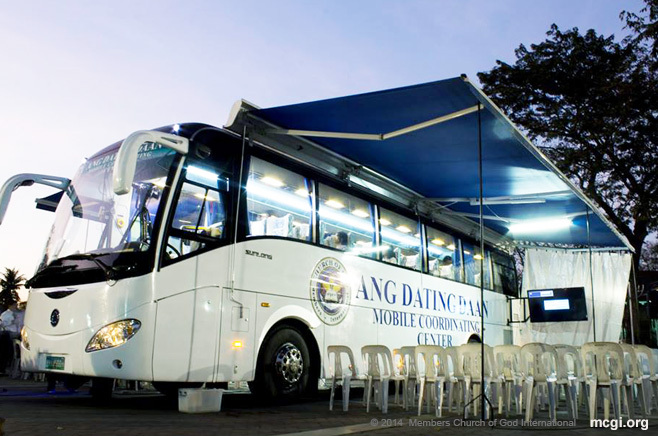 Apalit, Pampanga (July 19, 2016) — The Members Church of God International (MCGI) gears up for its quarterly International Thanksgiving to God (ITG) event on July 29 to 31, 2016, following overflowing wisdom and deeper understanding of new topics delivered to the congregation by the Church’s Overall Servants. Before the three-day spiritual feast of the Church, three special one-day International Thanksgiving to God celebrations on April 30, June 18, and June 25 were held, respectively. In the Philippines, the event’s main point will be the ADD Convention Center, in Apalit, Pampanga. Internationally, the ITG will be hosted in different coordinating centers across the globe. For the past three months, MCGI has received bountiful blessings from the Almighty, as exemplified by its consecutive, successful Church activities. Just days after the first quarterly ITG, the spiritual and physical wellbeings of almost 2,000 mothers of the Church were fortified during the 2nd annual International Mothers’ Convention. After that, the Music Ministry showcased their talents in singing and acting as they took part in the first Music Ministry Musical Play Festival, held on April 24-25, 2016. In the past quarter, Bro. Daniel Razon visited MCGI coordinating centers in the Philippines’ farther provinces and several countries in Southeast Asia. Bro. Razon serenaded Filipinos in Hongkong and left lessons in love and life during the “Labour of Love” Benefit Concert on May 1, 2016. On May 2, 2016, youth members from different corners of Metro Manila took advantage of the summer break and participated in the annual Metro Manila Youth Sports Activity (MMYSA). After just a few weeks, MCGI youth and adult members joined hands and readied public schools for the upcoming school year in the DepEd’s Brigada Eskwela program. This is on top of MCGI’s weekly medical mission events and quarterly mass blood donation drive event. Meanwhile while in South Korea, Bro. 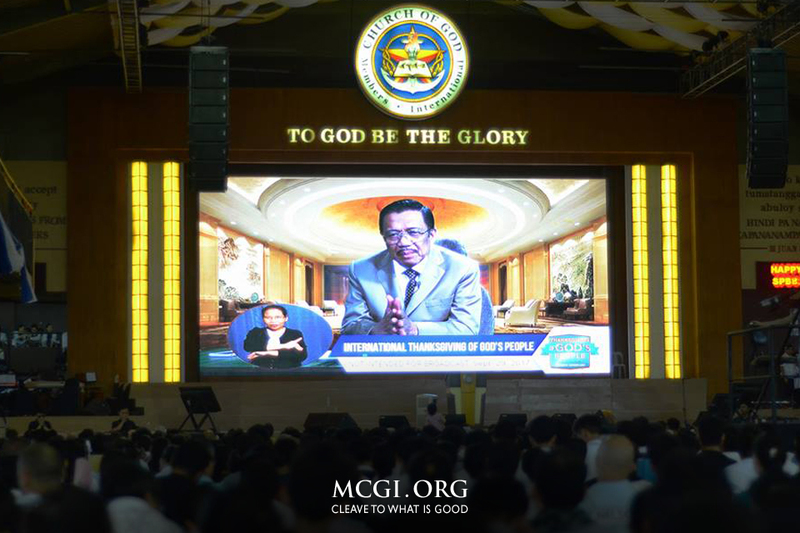 Daniel announced that the Ang Dating Daan’s Worldwide Bible Exposition will start live streaming via Facebook Live and Youtube Livestream on June 10, 2016. The Bible Exposition’s social media debut is the latest among the propagation efforts of MCGI. With the goal of reaching out to as many souls as possible, weekly Bible Expositions in Spanish and in Portuguese are held. 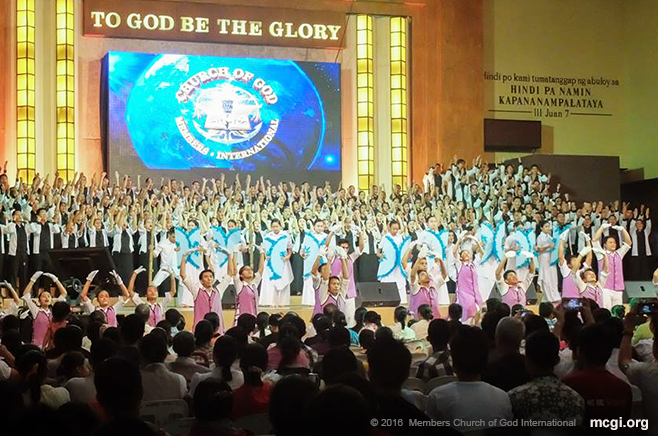 Most recently, the A Song of Praise Music Festival Year-End 5775 event showcased eight new songs of praise to God, with an entry from North America titled “Since My Younger Days,” winning the MCGI-exclusive event. 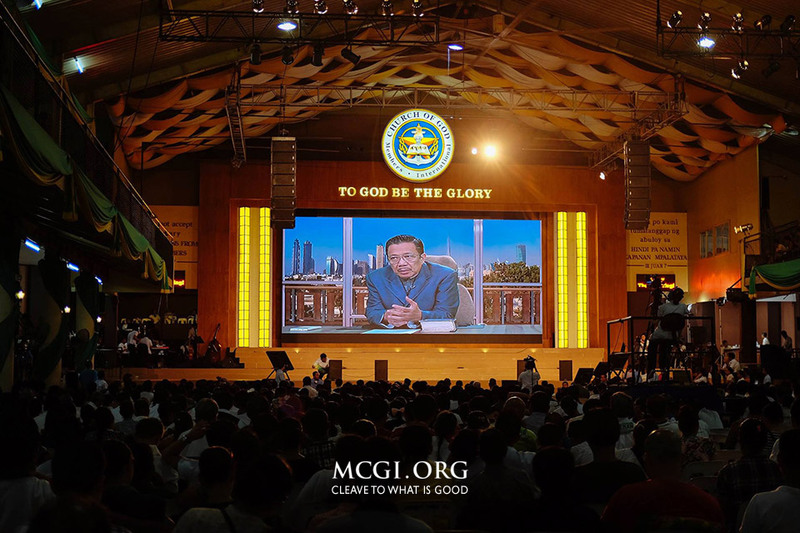 Aside from the bountiful blessings and events, MCGI congregants have been showered with overwhelming wisdom from the Holy Scriptures through the topics delivered by Bro. Razon and Bro. Soriano. “There is a gift to the Church that is not in others,” the International Evangelist further added. The amount of astounding spiritual knowledge given to the Church garnered delight from MCGI members the world over. “The latest topics that our preachers taught us are overwhelming. I am in so much awe that I could not even put it into words,” exclaimed Sis Debra Riveral, who expressed her heartfelt appreciation of the recent topics served to the congregation. “As a worthless servant who has a lot of shortcomings, the understanding that was bestowed to the Church gives me so much hope to strive even more in doing good, no matter how hard it seems,” Sis. Debra of Lapu-Lapu, Philippines, added. As early as now, brethren from different parts of the world share their anticipation of the Church’s grand quarterly event. On social media, the Church’s official Facebook page features daily video countdown shareables, leading to the ITG celebration. “I’m very excited! The unexplainable feeling of joy that fuels me every time we offer thanksgiving to Him is something I’m always looking forward to!” sis Maripol Picoc of Texas, USA vividly remarked. Bro. Ejay Soledad, Assistant Division Coordinator of the Metro Manila Youth, also expressed his sentiment for the approaching event. “In the upcoming International Thanksgiving to God, my hope is that God will provide us again with the gift of wisdom. May we receive God’s care, love and mercy,” Bro. Ejay said.